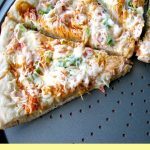 This Homemade Crab Rangoon Pizza is made with fresh crab, cream cheese, scallions, and a drizzle of your favorite hot sauce. With store bought pizza dough, it’s easy to make yourself! 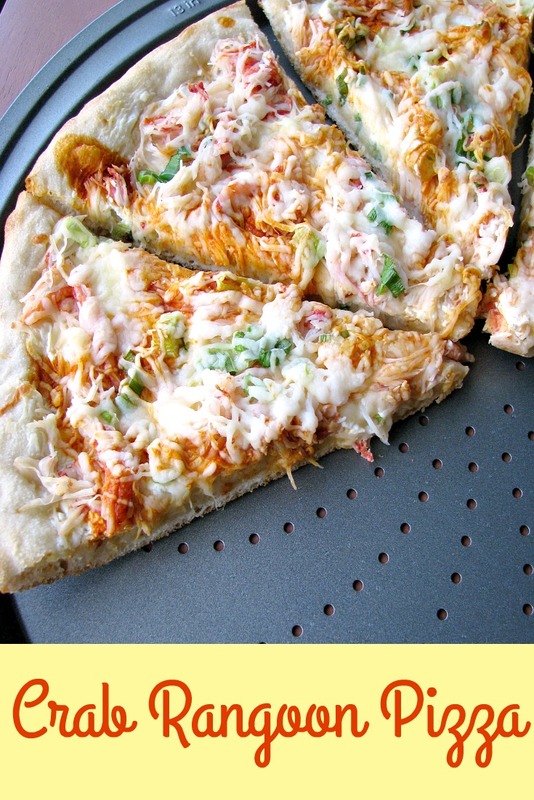 How to make Crab Rangoon Pizza? 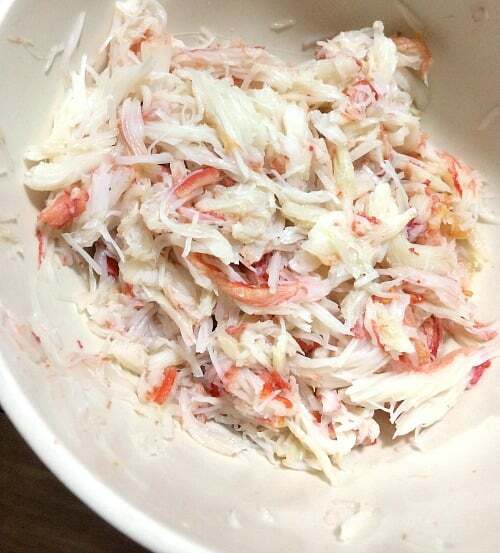 Fresh crab is expensive, but totally worth it. I won’t touch intimation crab. 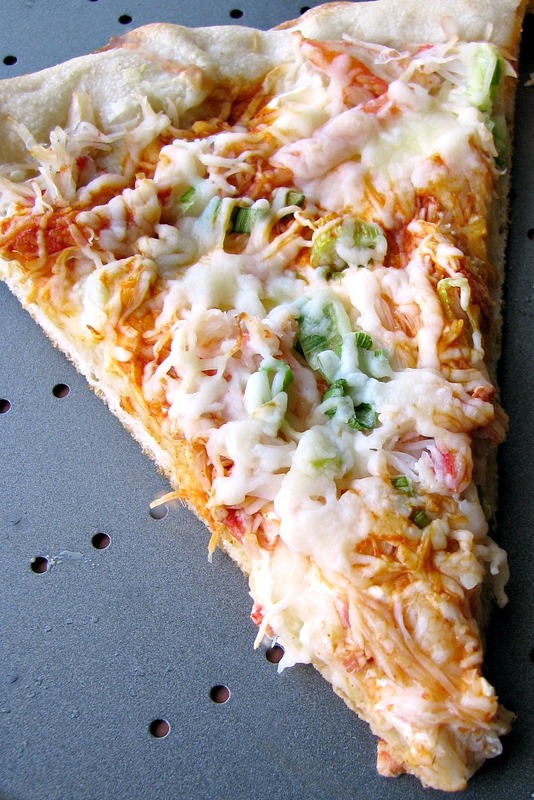 In this crab rangoon pizza recipe, I used 1 1 1/2 to 2 cups flaked crab. Go ahead, splurge! 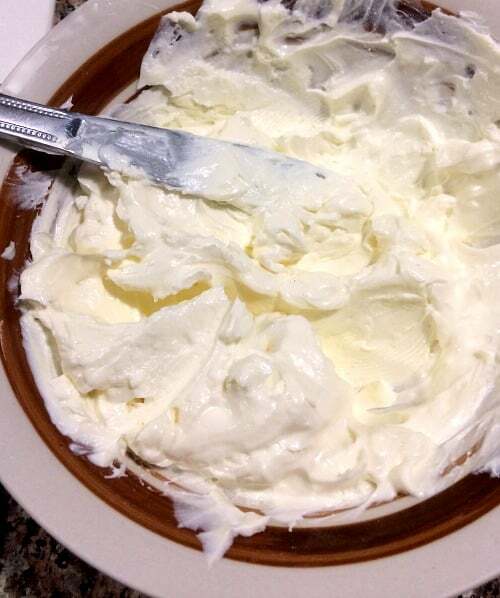 Soften cream cheese in the microwave until easily spreadable. 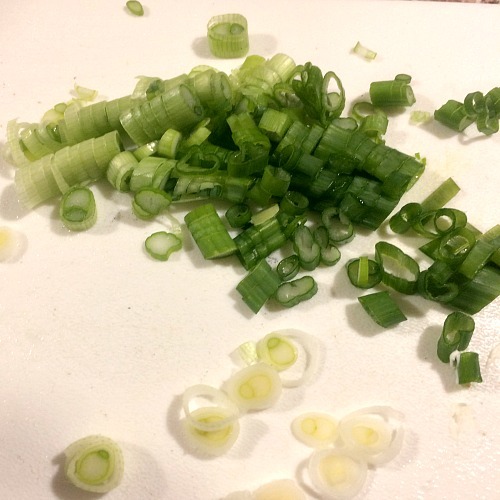 Slice scallions thin, discarding the bottom two inches and very top. Use homemade or store bought pizza dough. My husband suggested that a thin crust would be good, to give it the crunch of crab rangoons. 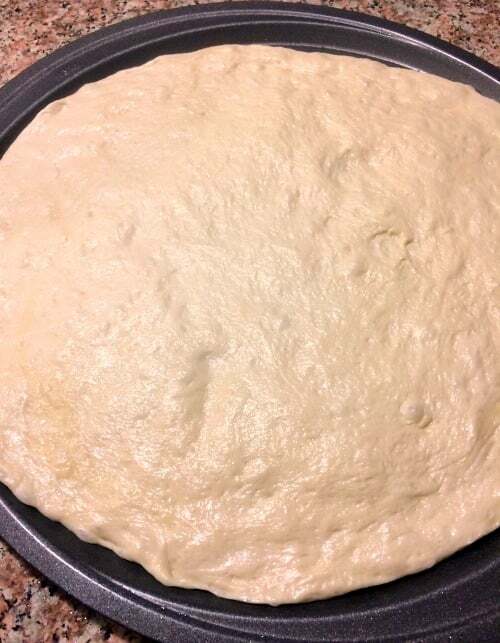 After you rise the dough, spread it out on a 13 inch round pizza pan. 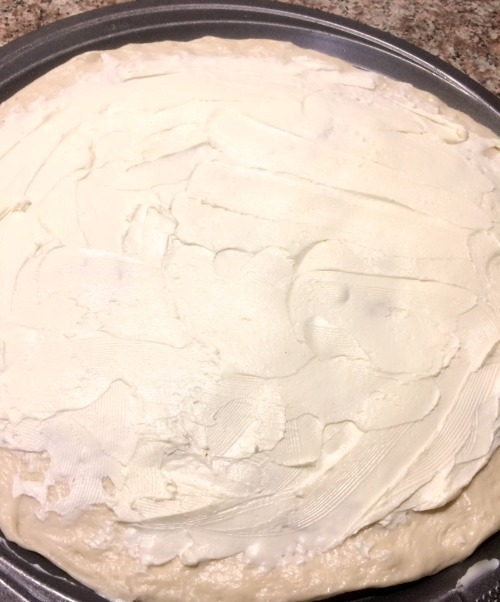 Top the dough with the cream cheese, spreading it out as evenly as possible. 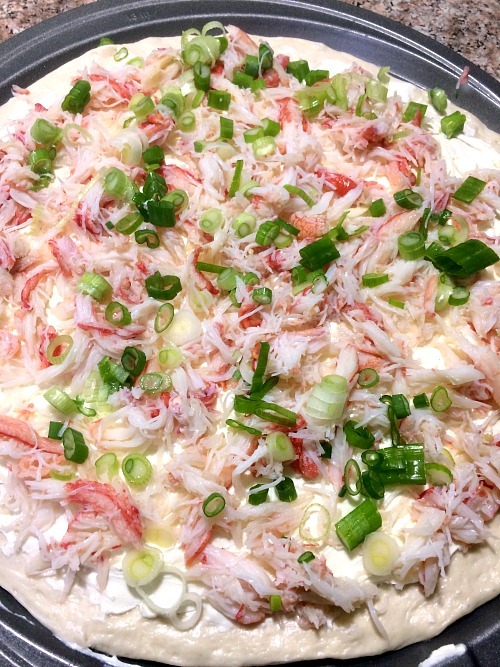 Top with the flaked crab and scallions. and finally a drizzle of your favorite hot sauce. I used Cholula brand chili lime hot sauce, and it went really nicely with this easy crab rangoon pizza. If you don’t do spicy, you don’t need to use any hot sauce. Bake in a 450 degree oven for 10-15 minutes or until the cheese is melted. 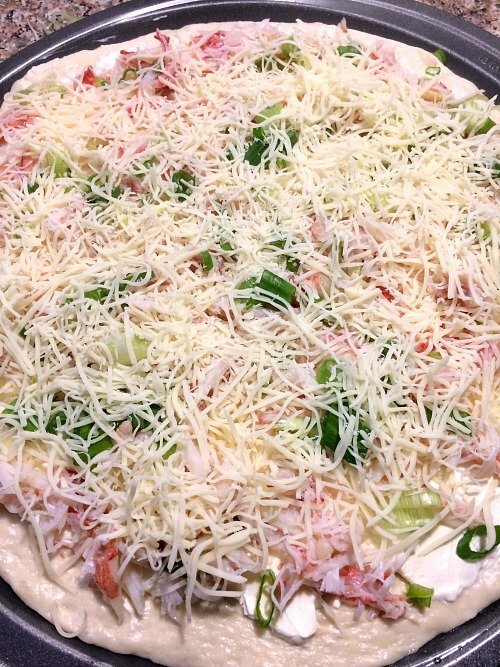 This Homemade Crab Rangoon Pizza is made with fresh crab, cream cheese, scallions, and a drizzle of your favorite hot sauce. With store bought pizza dough, it's easy to make yourself! After you rise the dough, spread it out on a 13 inch round pizza pan. 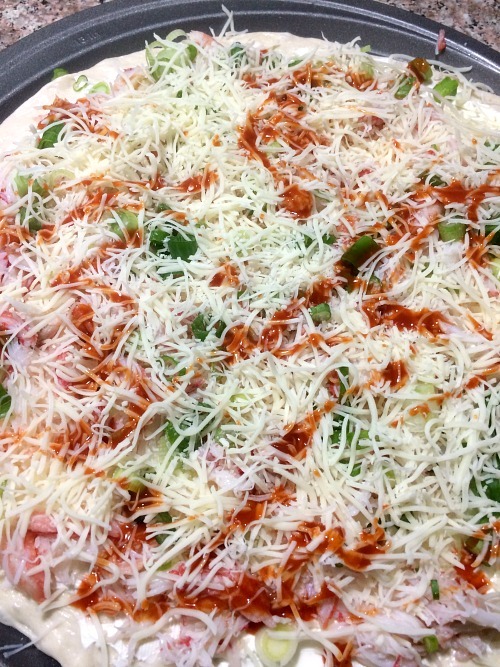 Top with the flaked crab and scallions, followed by 1 1/2 cups shredded Italian cheese blend, and finally a drizzle of your favorite hot sauce. Total time does not include time for preparing pizza dough.